Whether you're on a land survey or construction road crew, this men's hooded jacket is designed to keep you comfortable when the weather's iffy. 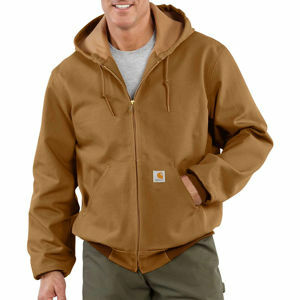 Made of thick and sturdy cotton duck, the jacket repels wind and water and features a warm thermal lining. Availability: This product available to order; most products arrive in 1-5 days.